Just heard from the publishers that the book is finally going to the typesetters today. So should be on course for publication by the end of July: watch this space for more information . . . Between 1983 and 2009 the Sri Lankan government and the Tamil Tiger guerillas engaged in a bitter civil war, with the Tiger’s goal of an independent Tamil polity the key issue of contention. The conflict’s end came in May 2009 with the Tiger’s crushing defeat at the hands of the Sri Lankan army. Prior to this grim finale, however, for some time there had been hope for a peaceful end to the conflict. Starting with a ceasefire agreement in early 2002, for almost five years a series of Norwegian-mediated peace talks between the two sides took place in locations ranging from Thailand and Japan to Norway, Germany and Switzerland. This book tells the story of how the process of trying to bring peace to Sri Lanka unfolded. In particular it tells the story of how a faraway European nation – Norway – came to play a central role in efforts to end the conflict, and what its small, dedicated team of mediators did in their untiring efforts to reach what ultimately proved the elusive goal of a negotiated peace. While some aspects of Norway’s role have been documented elsewhere, the deeper story of that involvement has not yet been told. This book tells that story. 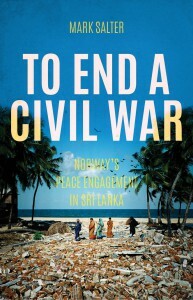 In the process it fills a critical gap in our understanding of the Sri Lankan conflict, and highlights lessons the Norwegian mediation effort may offer for internationally-supported attempts to end conflicts elsewhere.